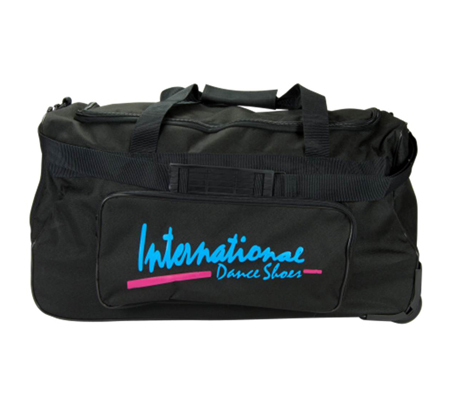 This is the perfect bag for competitions, practice, weekends and more. Our Wheeled Sports Bag offers ease, space and style. The bag features separate compartments for different items, including a side compartment, which is designed to keep your shoes protected. All of this is offered in a bag, which cannot only be carried, but also wheeled with its integrated handle. The bag was designed with the dancer in mind, taking into account your needs and wants. The bag has great space and convenient compartments to use on an everyday basis, not just for dance but in general as well.